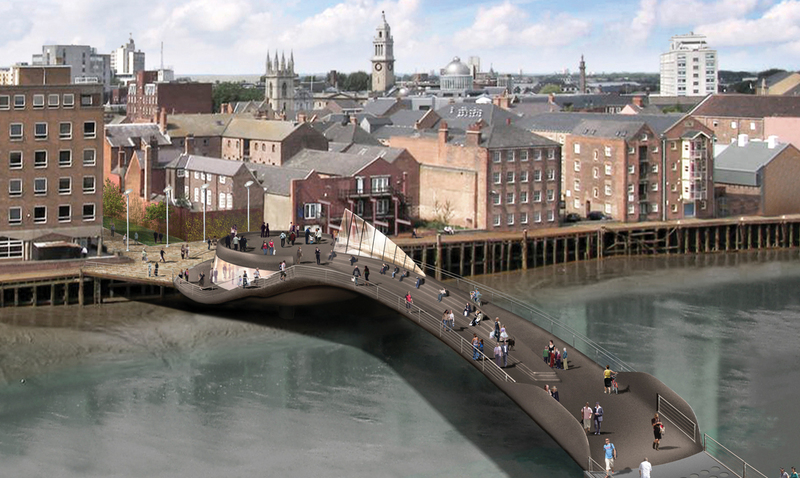 Qualter Hall entered a design competition in 2006 for a 'new concept' pedestrian bridge for Hull Citybuild who wished to develop and regenerate the city's Eastern Banks. 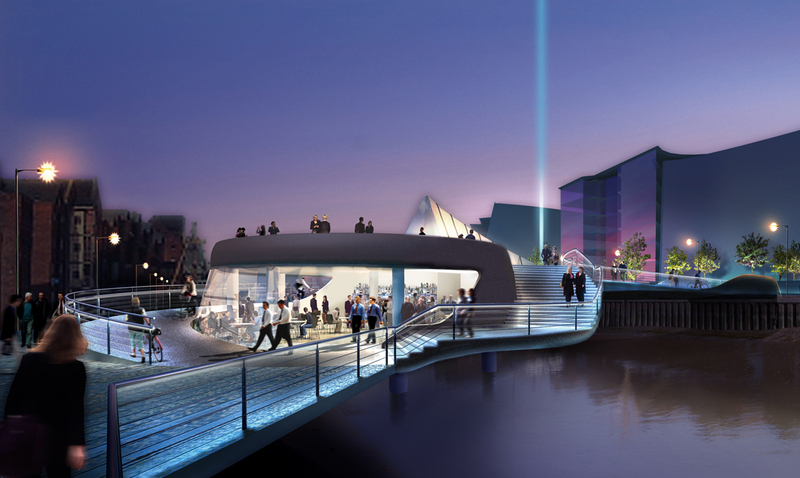 Following design and project proposal, public opinion of the people of Hull, and after numerous bid stages and presentations the company was awarded the contract in March 2007. The contract is in 2 phases, phase one being to finalise all the design concepts and integrity of the superstructure and mechanical and electrical equipment, and phase two being to manufacture, install and commission the bridge. 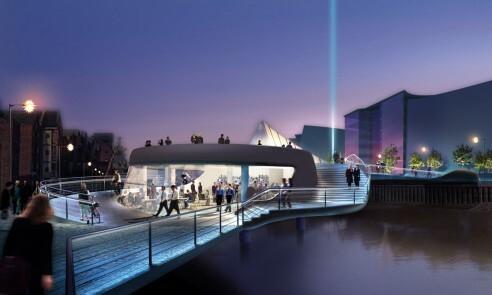 A key feature in the award was the distinct form which the bridge takes, which makes the bridge an instant landmark unique to Hull and its rich maritime heritage. The primary structure consists of a steel section cantilevering approximately 40 metres from a 3-dimensional vierendeel girder ring approximately 16 metres in diameter. The structure is supported by a rotating mechanism which rests on a steel ring beam.